We remodeled our kitchen, bath, and laundry recently. 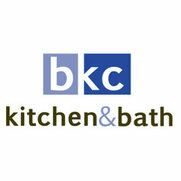 We purchased our cabinets through BKC Kitchen and Bath. We were impressed from the beginning with the time they spent with us. Mary helped us design our kitchen, and helped us make the perfect selection of cabinets for each of these areas. The cabinets arrived on time, and Mike did a fantastic job with the installation. 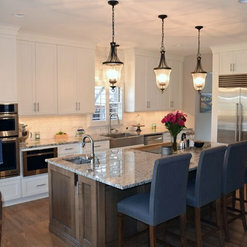 We are so happy with our cabinets and with our decision to go with BKC Kitchen and Bath! 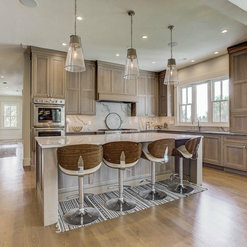 We are delighted that you are happy with your cabinetry! Thank you for sharing your feedback with us. We greatly appreciate it! 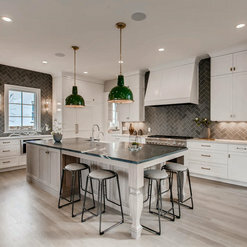 We chose to work with Mary Jenkins at BKC after visiting a number of cabinet shops because she understood our style and shared some great examples of her work. We definitely made the right decision! Working with Mary was an excellent experience as we worked through a number of designs and ultimately got our dream kitchen. Thank you! Eric, we are so glad that you chose us. We enjoyed working on your project, and we agree that it turned out great! My kitchen is gorgeous!! The service was excellent from consult to installation. 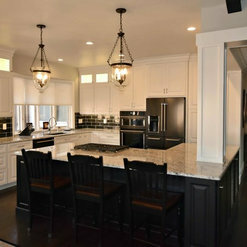 The quality of the cabinets and the workmanship was superb. The smallest detail was attended too. Thanks Heather and Mike!!! Thank you, Joni. 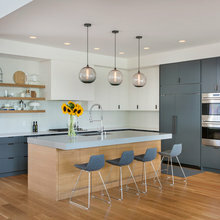 We are thrilled that you love your kitchen! I have now used them for kitchen and bath renovations and they do an excellent job. 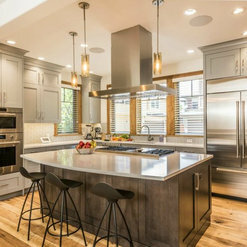 Heather Smith is really good at kitchen design and then working her majic and making your budget, ideas and dreams come together. I would definitely use them again. Thank you, it has been our pleasure to assist you with your projects! We moved back to Colorado and bought a home with a kitchen that needed some work. We realized BKC offered the same cabinetry and when we visited the store, Candice Hill offered her assistance. We couldn't have been more pleased with the additional cabinets she designed for us. The process was absolutely "seamless," even communicating with us while we were overseas so as not to delay the project. Her design was flawless, the installation a breeze, and the satisfaction we felt upon completion was a delight! Thank you Candice and BKC!! Thank your for allowing us the opportunity to work with you on your project, Linda! 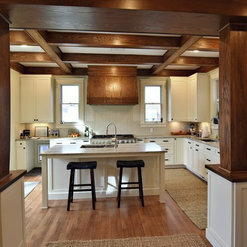 There are not enough superlatives to express how happy we are with our kitchen remodel. Working with Caitrin was a dream, she was amazing in her design and she is a great listener and communicator. I would recommend BKC to anyone who is wanting a great company and a fabulous remodel. Thank your for allowing us the opportunity to work with you, Michele! Our designer, Caitrin McIlvain, did a fabulous job! Everything came out perfect. Importantly, Caitrin, has heaps of patience - which is definitely required with a major kitchen remodel - she is a pleasure to work with. It was our pleasure to work with you on this project! Sandra Maday was our designer and she was amazing! It was a new build and our first time with custom cabinetry. She made the whole experience enjoyable and exceeded our expectations. We love our new kitchen! 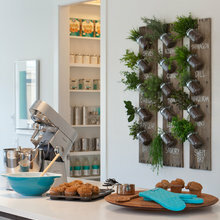 Candice Hill was our kitchen designer, and she was absolutely incredible. She helped us find a cabinet product that would give us the aesthetic we wanted but kept us within our budget. Her CAD drawings really brought the project to life before it was even ordered, and her dedication to her clients is second to none, she would go in on Saturday's just to meet us because we lived so far away from BKC weekends were the only times we could make it in to match products together. On top of that, our house is 40 years old, and some of our walls were not quite true, but she made sure everything was perfect before the project was done. 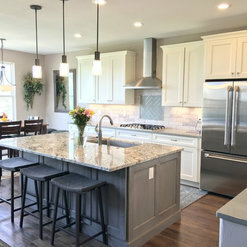 She was always super patient with us and our numerous changes, and requests to modify the cabinet color or layout, as well as special ordering trim pieces to make everything look absolutely perfect. We could not be happier with how our remodel turned out. We're so happy that you love your new kitchen, Genessa! It looks beautiful! We worked with Heather Smith at BKC for our project. She was simply amazing! From start to finish, she met all our expectations and then some! Her communication, suggestions and delivery set a standard rarely seen these days! It was a pleasure to work with Jennie Showers at BKC on our remodel project. Jennie took the time to understand what our goals were; and came up with a great design within our budget. 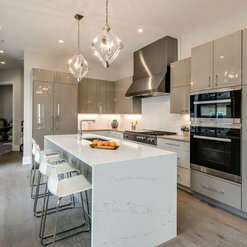 She had fun and fresh ideas to incorporate style and function into our space and worked with our contractors to get the job done in a timely manner. We were back into our new kitchen in no time, enjoying the updates and feeling so glad to have gone through the process. We would highly recommend Jennie! 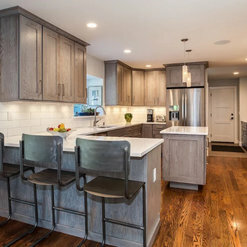 We worked with Caitrin at BKC for a total kitchen remodel on an older home, and were very pleased with her expertise, attention to detail and follow through. She made great suggestions to our architectural plan that improved the design and functionality of our space. Her guidance on cabinet design and placement was very helpful. During and after installation, she was very responsive to our questions and came out several times during the project to make sure everything was installed correctly (since we did not use a BKC installer). I would definitely use BKC for another project! 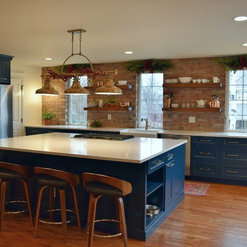 Commented: This is a beautiful kitchen! What is the wood and stain color? ThanksHello! 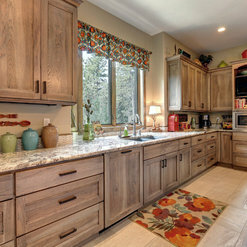 These cabinets are quarter-sawn oak with a Sunwashed Grey stain and VanDyke Brown highlight, from Crystal Cabinets. Let us know if you have any other questions. Commented: HardwareHello and thank you for your inquiry. The knobs and pulls are from Top Knobs, Transcend Collection in Sable Finish. Commented: GraniteHello Linda and thank you for your inquiry. 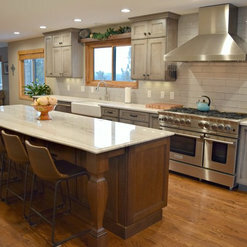 The granite in this kitchen is Via Lactea leathered granite. 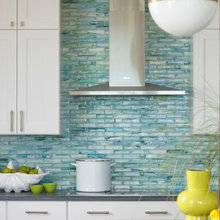 Commented: Quartzite Counters?Thank you! Let us know if we can be of any further assistance.